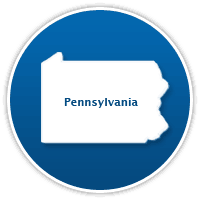 Pennsylvania has one of the most competitive commercial electricity markets in the country. Many small and medium businesses are already taking advantage of electricity choice by locking into fixed electric rate contracts with competitive energy companies that are significantly lowering their monthly electricity bills. Just as important as lowering their electric bills, these long term fixed electric rate agreements are protecting businesses from potential utility rate hikes that can occur in the future. With energy prices being one of the most volatile markets in the world, securing a low fixed electricity rate for your business is a wise business decision.